Revelation 20:10-15 Then the devil, who had deceived them, was thrown into the fiery lake of burning sulfur, joining the beast and the false prophet. There they will be tormented day and night forever and ever. 11 And I saw a great white throne and the One sitting on it. The earth and sky fled from His presence, but they found no place to hide. 12 I saw the dead, both great and small, standing before God's throne. And the books were opened, including the Book of Life. And the dead were judged according to what they had done, as recorded in the books. 13 The sea gave up its dead, and death and the grave gave up their dead. And all were judged according to their deeds. 14 Then death and the grave were thrown into the lake of fire. This lake of fire is the second death. 15 And anyone whose name was not found recorded in the Book of Life was thrown into the lake of fire. In the daily grind and weariness of life it may seem that our prayers are never going to be answered, it seems that "thy kingdom come" is never going to happen. Because of the delay there are many people that have given up on his second coming. They fail to realize that the Bible proves over and over again that God's timetable moves very slowly and it isn't a sign that his promises will not come true. We don't like delay anymore than God's children in the Bible. Noah thought the first ever boat would never be completed, Abraham thought that he would never have an heir, God's children thought that they would never stop being ruled by various world leaders. It is easy to think that God is late and his second coming will never happen. Jesus will return and stop the plans of Satan, the people of Satan's kingdom will be judged and the children of God's kingdom will finally be satisfied forever. For every time the first coming of Christ is mentioned, the Second Coming is mentioned eight times. And the Lord Himself refers to His coming twenty-one times and over 50 times we are exhorted to be ready for that great event. This event is so important that scripture makes it clear that we can trust God to come through on the Bible's promises about the second coming. The first coming miraculously fulfilled hundreds of prophecies so we can have confidence that the second coming which is predicted much more often than the first is sure to take place. 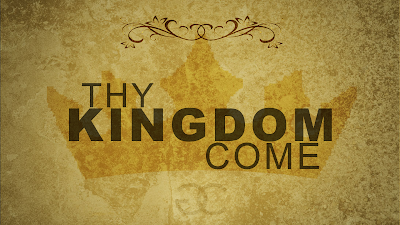 Jesus will begin his rule by defeating all of the opposition to his kingdom. The prayers of God's children throughout the ages will finally be answered. The longing for "they kingdom come, thy will be done, on earth as it is in Heaven" will be fulfilled! All of the earthly kingdoms, no matter how good some of them are, will all be gone. Jesus has told us how to avoid defeat as a citizen of his kingdom. You don't have to go down in defeat. if you make the wise choice and you are ready for the king that is coming then you will be a citizen of the new kingdom with the only perfect king. There will not be any illegal immigration into God's kingdom. When we enter the kingdom we will enjoy God's presence even more fully than Adam and Eve did in the garden. We will finally be home enjoying the presence of our father. Are you a friend of the conqueror? You can find peace with God.